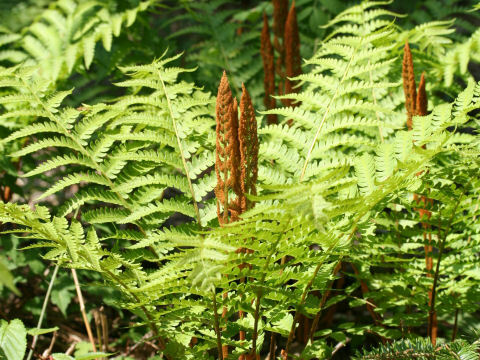 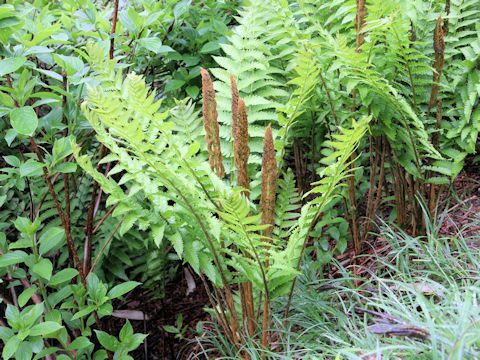 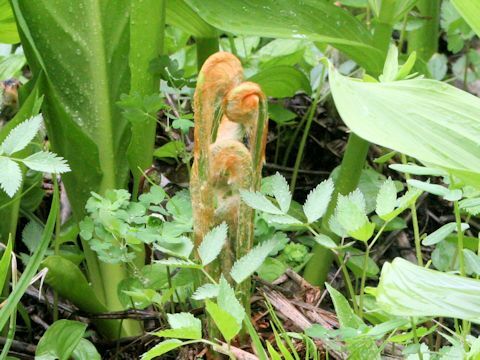 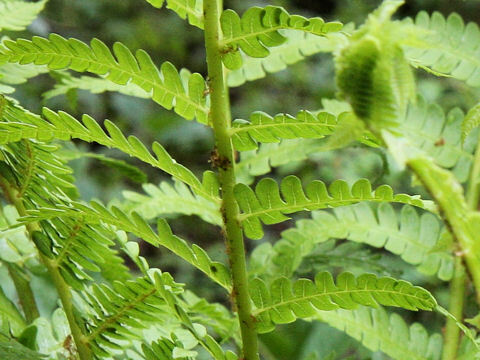 Cinnamon fern (Osmunda cinnamomea) belongs to the Osmundaceae (the Osmund fern family). 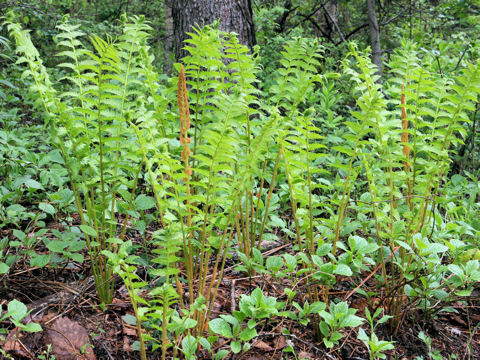 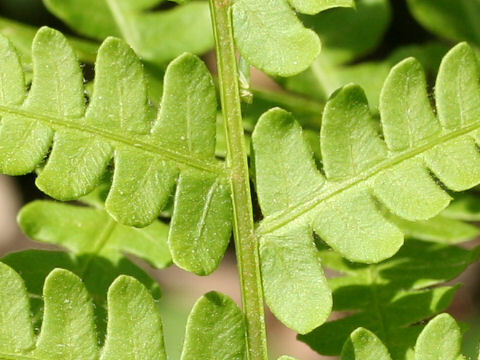 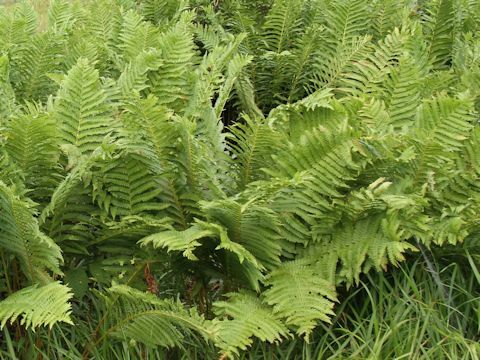 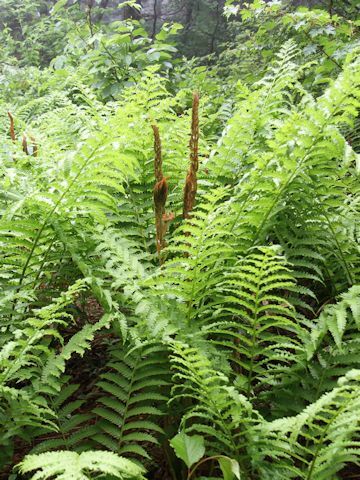 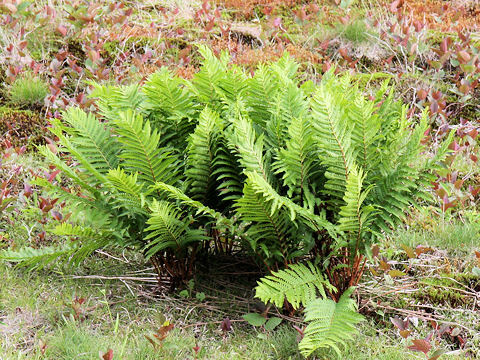 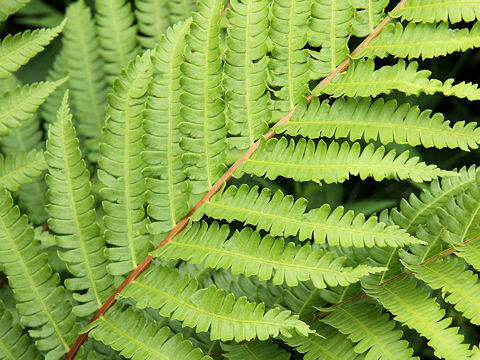 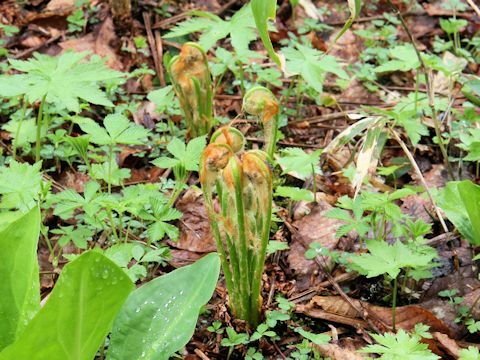 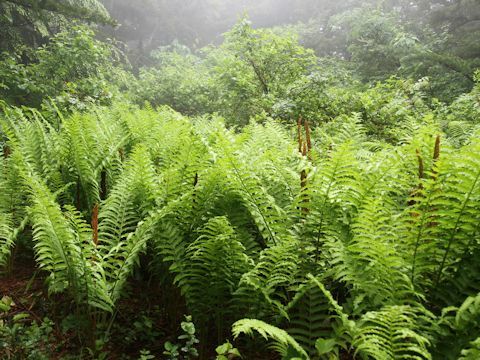 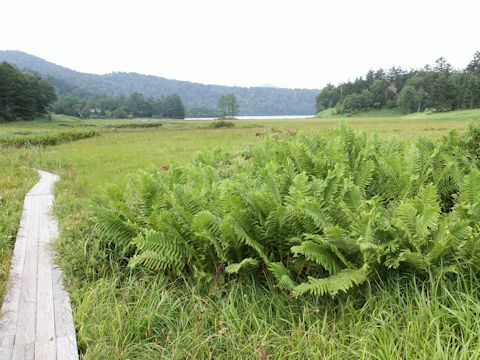 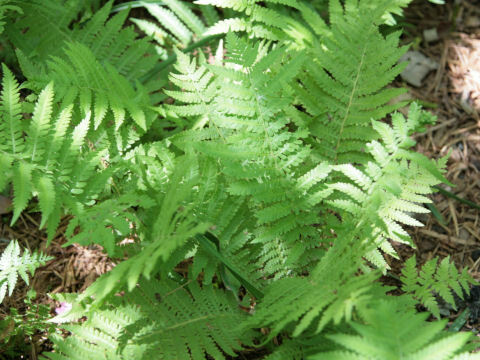 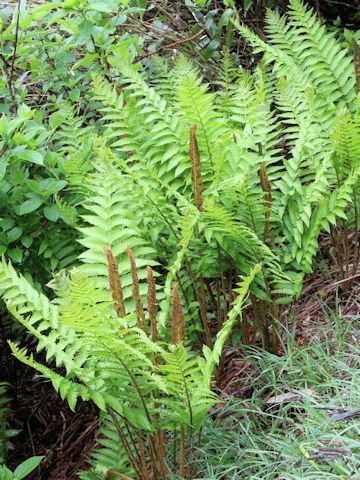 It is a summer-green fern that is distributed to Japan, the Korean Peninsula, China, eastern North America and South America. 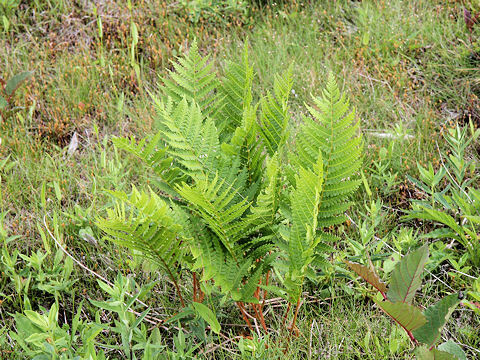 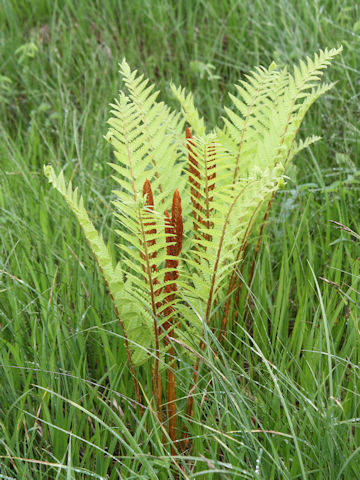 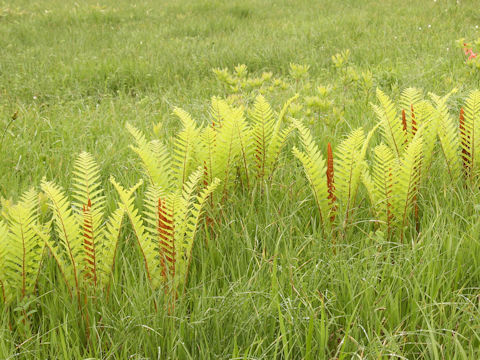 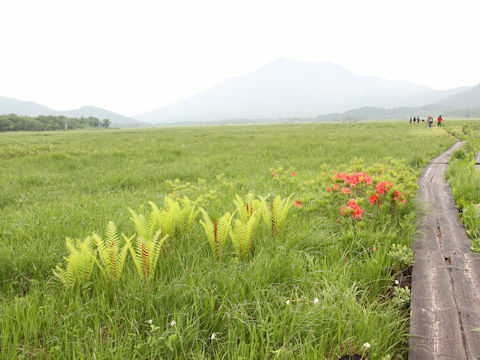 This fern grows in montane to sub-alpine grasslands and marshes, and can reach 50-80 cm in height. 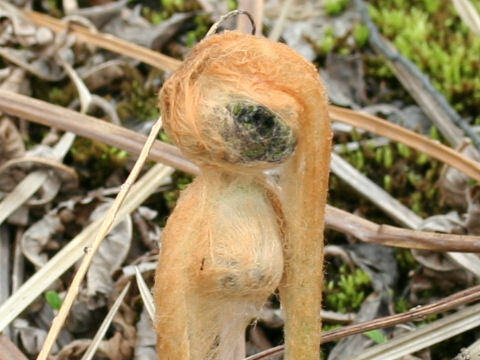 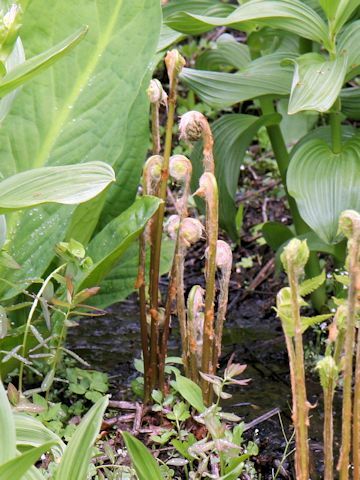 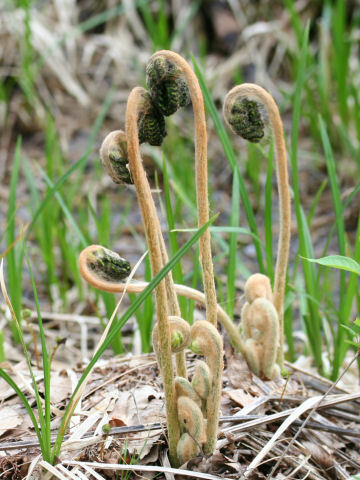 The sterile fronds are fascicled on the rhizomes. 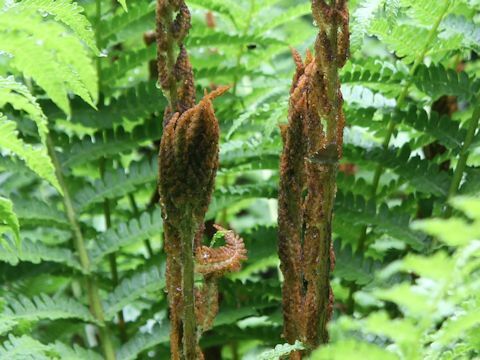 They are covered with reddish brown hairs when young and used for wild vegetable. 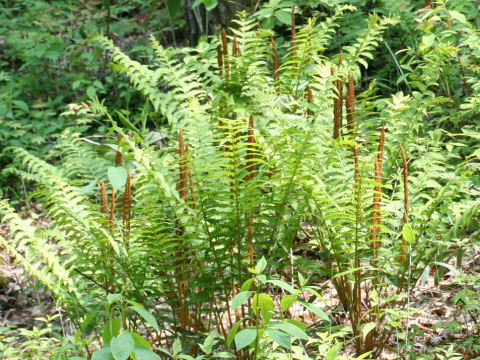 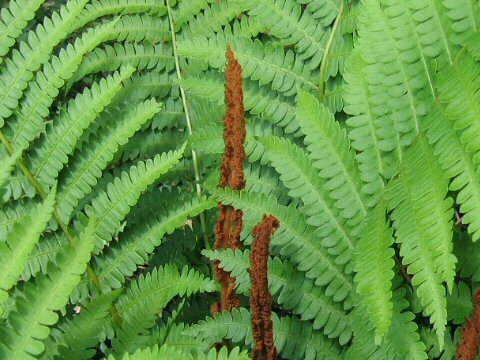 The fertile fronds are brown-colored and resemble cinnamon bark in appearance.